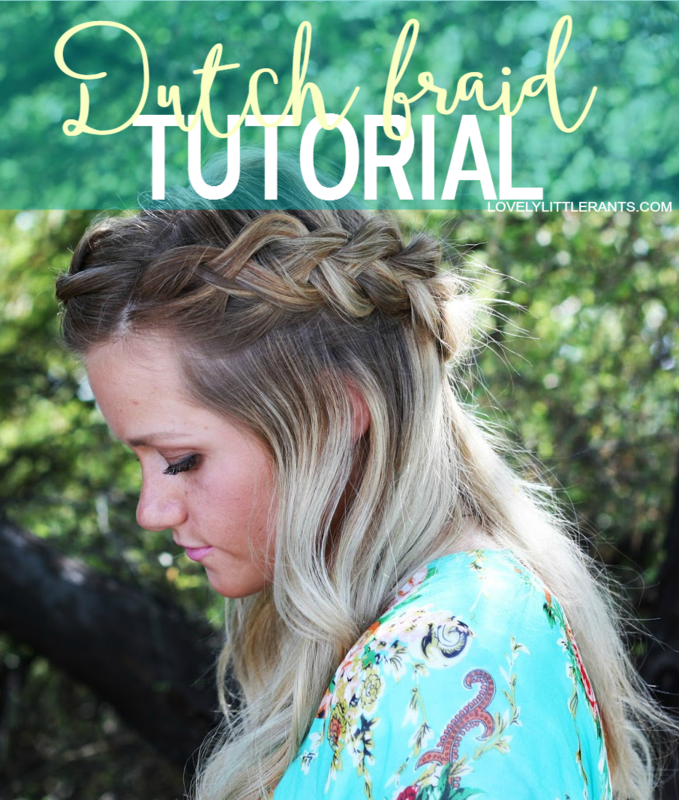 Super easy thick dutch braid for any hair type, yay! Oh heyyyyyyyy guys! Thanks a million for all your kind words on Monday's post. To say I was excited to collaborate with jane.com would be an understatement. I had been wanting to get an American flag swim suit to take some 4th of July pictures in and it was perfect timing and ended up working out well for the jane.com photo contest! Anyways, sorry for posting this thick dutch braid tutorial late! I think I told like 6 people I would post this tutorial on Monday and then I didn't and now it is Wednesday. Please say we can still be friends! The dutch braid is probably my most favorite braid hack (actually are there any other braid hacks? if so, fill me in. thanks!) It makes thin boring braids turn into these gorgeous model thick braids! For a fishtail braid you literally do the same exact thing! Just braid it normally and pull hair to make it looser. Basically hair magic. I tried and tried to make that darn video player bigger than like 1cm x 1cm but it wasn't cooperating with me so sorry it's so teeny tiny. Let me know if this is helpful and always remember- hair spray is your best friend! And babyhairs are the worst. If anyone has any sneaky tips to growing them out or just keeping them tame, let me know pretty please! So cute! Love the video! Pulling it apart at the end makes so much of a difference! Thank you!!! I wanna see yours!! Well that looks so much easier than I thought actually. I'm going to try it this weekend and let you know how it goes..
you gotta try it, it's soooo easy!! I wanna know how it goes! and thank you :) haha I always feel so weird talking to a camera! I am still trying to get this hairstyle down, you make it look so easy! no matter how many tutorials I watch or read, I just can't do these types of braids. UGH. Yours looks great! I might have to give this one a shot. My hair is always too thin for most tutorials. Drives me crazy! I am pretty good at braiding other peoples hair but not my own! Somehow it's harder on my own head. So I'm going to need you to come do mine for me. K thanks!!! i really like how quick and easy that was. my little lady gets impatient when i try and do my hair in the morning so this is seriously perfect! thank you! Ah this does look super easy! Great tutorial and you're adorable! You made that look super easy! Now I have to try it!! Thanks for the video! I'm not the best with hair stuff, but I think I could handle this ;) And I'm a YouTube junkie, subscribed! yay thank you, Mia!! Let me know how it works out :) It's such an easy hairstyle! I can't wait to try this! I am in desperate need of new hairstyle ideas... pretty much all I know how to do is curl it, haha. This looks pretty easy actually! Thanks for the video! I love doing braids!! Just perfect!